You’ve all heard about Boulder Rotary’s first service project in 1919, giving out flytraps to downtown businesses to eliminate the pesky insects. Our club has always been active locally and here are a few examples. In 1921, the city had to approve a $50,000 bond issue before an old Broadway Bridge could be replaced. A special election was scheduled and Rotary members canvassed their neighborhoods to urge voters’ approval. The bond issue was approved. A 1999 Rib lists more than $15,000 in community service grants given by the club and a blood drive that year benefited students who had been hurt in the Columbine shootings. Champion donors in the regular blood drives the club held included Hank Lopez with 94 pints, Bob Taylor with 31, Michael Weatherwax with 28, Carl Scott with 24, and JoAnn Joselyn with 12. In the early 2000s, the club held three annual Vision sessions on local issues, inviting citizens to evening meetings for panel discussions with community leaders on issues such as transportation and the CU-City relationship. 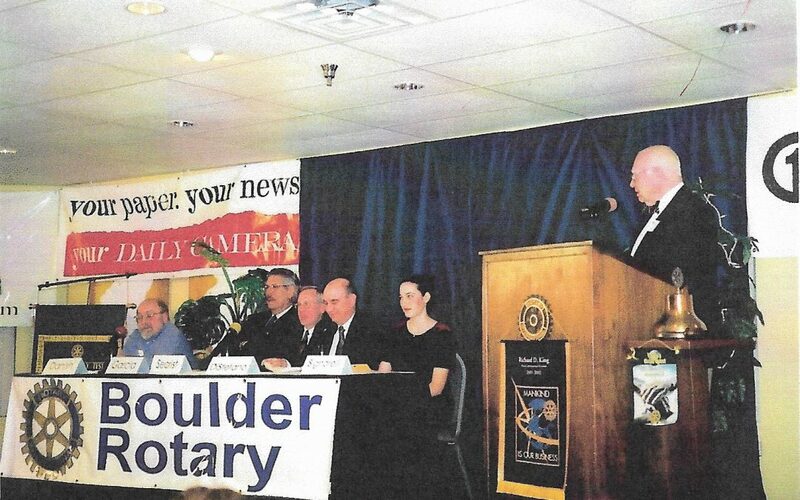 More recently, in 2018 we sponsored a similar forum for Congressional candidates in our district, partnering with Boulder Valley Rotary Club. Our Quick Response Team of past presidents and board members mobilized when Boulder County experienced massive flooding in September 2013. 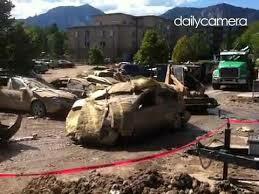 About 20 of our club members lived in Frasier Meadows, where the garage and all the cars inside it were destroyed. Damage to one wing required 50 critical care residents to be carried out and transported to other facilities. About 45 Rotary volunteers helped fellow Rotarians with flooded homes, removing contents, ripping out carpet, rescuing furniture. Dozens of other members also assisted neighbors and friends or donated to community relief efforts. 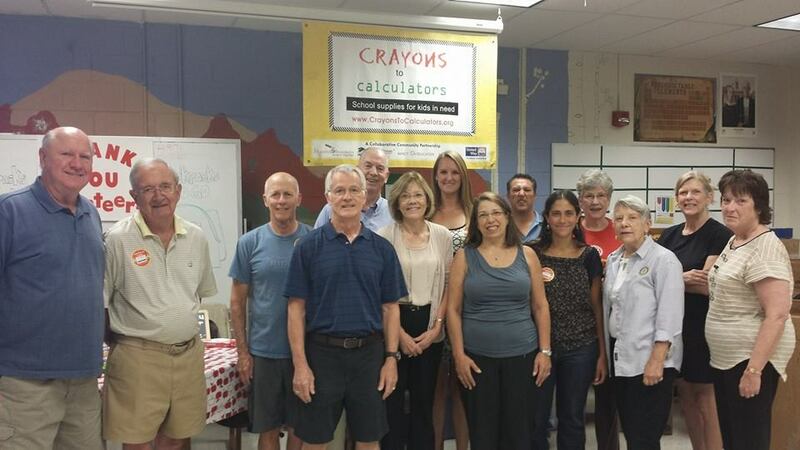 And mentioned before, but worth repeating, Crayons to Calculators, a program for which we were the initial sponsor, which fills thousands of backpacks each year for local students who can’t afford school supplies.